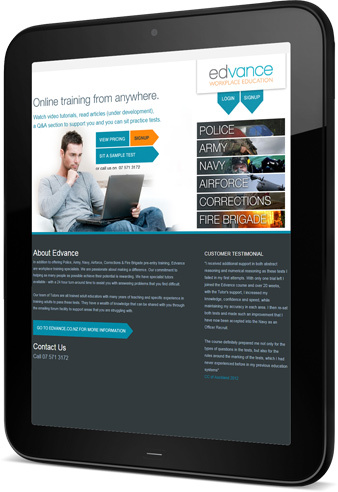 Sign up to the Edvance online training course for Police, Defence Force, Corrections or Fire & Emergency pre-entry tests. Example tests you can sit to prepare you for the real thing. Phone, email and forum support from experienced tutors. Video and text based training resources recommended for you. These will help you with areas you are struggling with in the example tests. In addition to offering Police, Army, Navy, Air Force, Fire & Emergency and Corrections pre-entry training, Edvance are workplace training specialists. We are passionate about making a difference. Our commitment to helping as many people as possible achieve their potential is rewarding. We have specialist tutors available, with a 24 hour turn-around time to assist with answering problems that you find difficult. Our team of tutors are all trained adult educators with many years of teaching as well as specific experience in training adults to pass these tests. They have a wealth of knowledge that can be shared with you.  Both through the emailing forum facility to support areas that you are struggling with. “I received additional support in both abstract reasoning and numerical reasoning as these tests I failed in my first attempts. With only one trial left I joined the Edvance programme. Over 20 weeks, with the Tutor’s support, I increased my knowledge, confidence and speed, while maintaining my accuracy in each area. I then re-sat both tests and made such an improvement that I have now been accepted into the Navy as an Officer Recruit.